What’s the official name for the Hawaiian shirt, anyway? Hula shirt? Aloha shirt? Personally, I think that’s all wrong. They’re actually called the “Nolte.” Do you see where I’m going with this? Features writer Eddie Kim spoke to a few long-time Nolte wearers about what it’s like to have their style ripped off by today’s youth (Justin Bieber first and foremost). But it’s my opinion that the only person who should take issue with it is pictured above. What a king. Check out that story and everything else from today below. Does This iPhone Photo Make Me Look Fat? Why yes, yes it does. 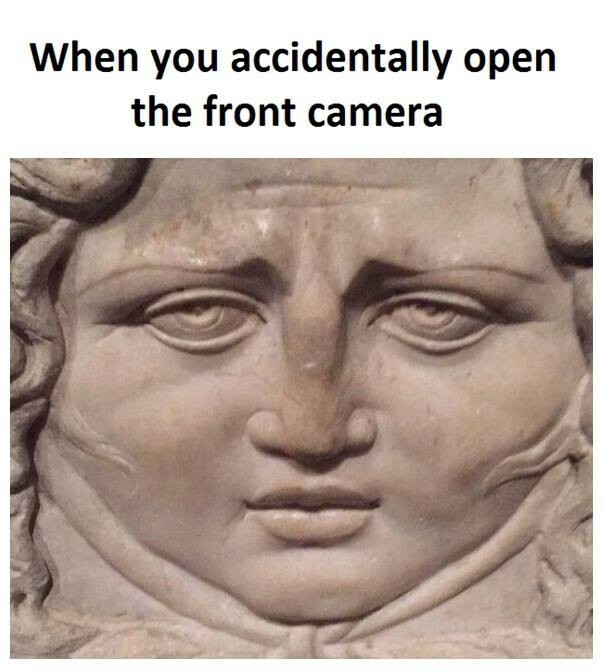 That’s because smartphones have a flaw in their design that cause their cameras to flatten images, making your double chin look more like a triple chin. The good news: There are some tricks to making yourself appear slimmer in pictures. …that some landlords offer tenants the opportunity to rent-to-own their house/apartment/condo? For many millennials who have been stuck renting in lieu of buying thanks to stagnant wages, soaring student loans and an obsession with avocado toast, a path to home ownership might sound like a deal worth making. But how do rent-to-own agreements work exactly? And aren’t they just another scam? A few answers. Why are more and more kids causing mayhem on bridges, cornfield-baseball diamonds and city intersections by spinning their cars in circles—aka doing “donuts”? Talk to the hell-raisers themselves, and they’ll simply say “it’s cool.” But its relative coolness has a lot to do with where you’re from, how you were brought up, and more than anything else, how bored you are. Aaaaand you had me at pork rinds. So how do these Dirty Keto dirtbags get away with it? Click to find out. Need more proof that college is a scam? How about the fact that it’s now nearly impossible to work your way through college. Here’s why, and what—if anything—is being done about it. Boomers to Millennials: Stop Stealing Our Look! It doesn’t take Justin Bieber and his particularly loud style palette to understand that Hawaiian shirts are in these days. Just… ugh. Eddie Kim spoke to three of the originators of the Hawaiian shirt-look, i.e., Boomers, about what it’s like to have scruffy millennials stealing their style. The procedure is based on a principle known as “distraction osteogenesis,” in which the femur bone is broken in two and slowly stretched apart. Then, four times a day, the external fixator — a scaffold on the outside of the leg holding the broken bones in place with pins — slowly pulls the bone segments apart, allowing new bone tissue to regrow within the gap and lengthening the leg by one millimeter per day. Despite all that (seemingly unnecessary) pain, though, here’s why the vertically challenged are convinced it will allow them to tower over their insecurities.